This beautiful chatoyant Bisbee Malachite cab measures 20mm x 22mm x 5.2mm thickness. The WEIGHT is 31.5 carats. Beautiful chatoyant cab throughout the entire surface, with a mix of greens. Not backed. 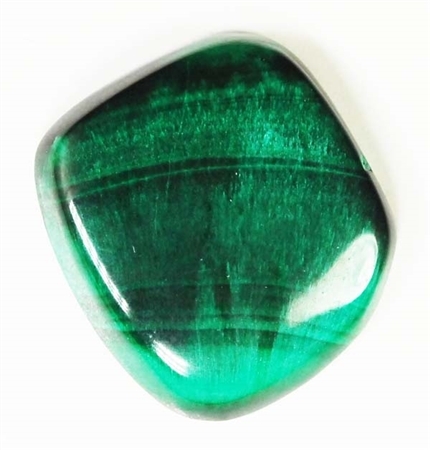 This Malachite cabochon was cut from rough material from the Copper Queen mine, Bisbee Mine, Arizona. Old stock.